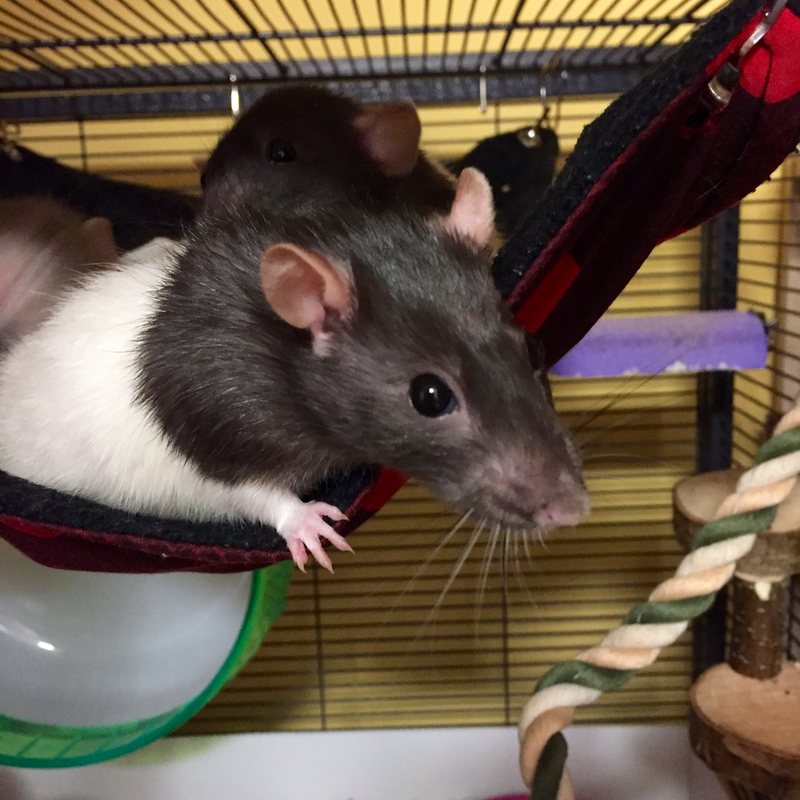 Saying goodbye to Molly in November 2017 left us with just one ratty: Ivy. We weren’t going to rush to get more, but it was obvious that Ivy wasn’t going to be happy on her own, so friends had to be found. I fell in love with Smoak the moment I saw her; such a beautiful grey-brown girl, a bit skittish, but utterly gorgeous. 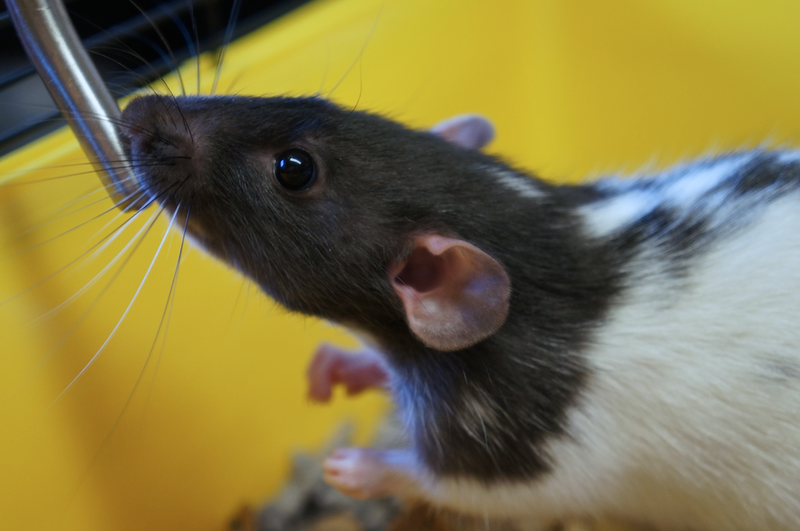 She proved herself to be the rattiest of rats: when we brought her home, she escaped onto the floor as I tried to get her from the carrier to the cage and the sight of her bounding along the skirting board under the sofa… just so incredibly ratty. Nyssa was more forthcoming and curious; she didn’t want to be held, but she was more than happy to be around people, especially if they had snacks. 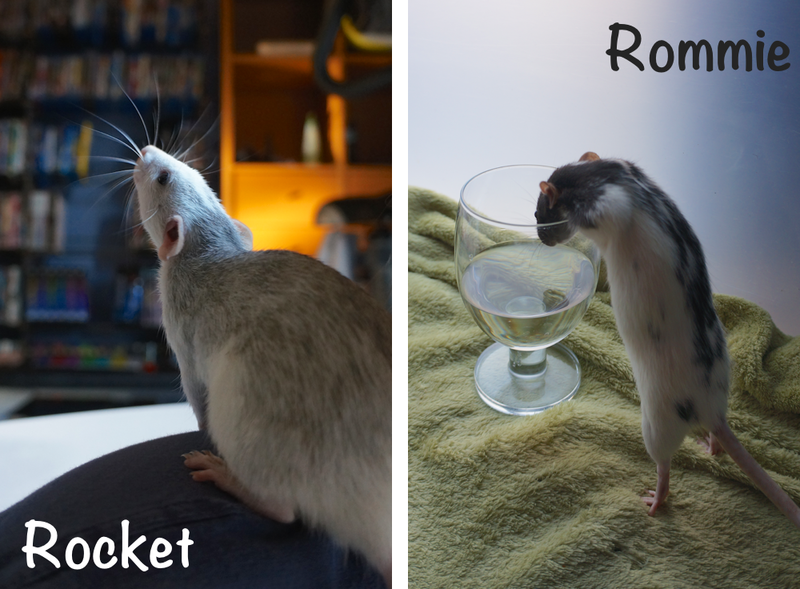 She quickly discovered that the inside of a t-shirt was a fun place to explore (I’ve used tucking ratties inside my t-shirt as a socialising technique before but Nyssa did it all on her own). She has to be the focus of attention, if anyone else is getting any fuss — or worse, food — then she will quickly place herself front and centre. Smoak was beautiful and a little aloof, with the softest fur. Nyssa was and still is, energetic and sleek, with a beautifully silky coat. Smoak quickly learned her name and would acknowledge you, even if she then chose to stay exactly where she was. It took a lot longer for Nyssa to even understand what a name was, she recognises it now and does respond, but I’m convinced she just thinks it means “snack time”. 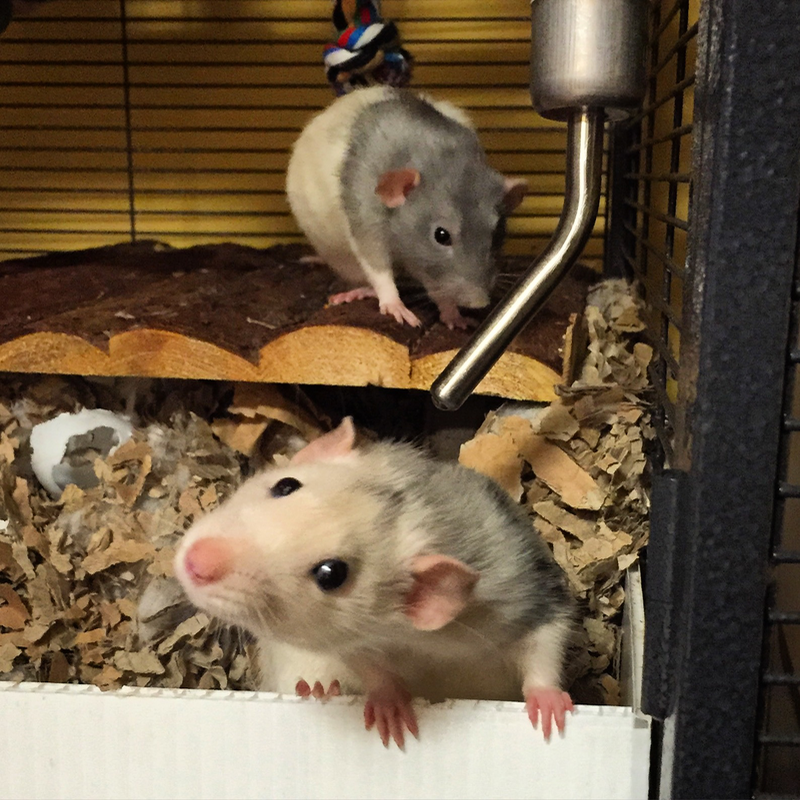 The loss of Rommie left us with just one rat for the first time ever, so we had to find some friends for Quorra; she was only alone for a few days, but she obviously wasn’t happy. Having said that, I’m not convinced she was always particularly impressed by the presence of two lively youngsters either. 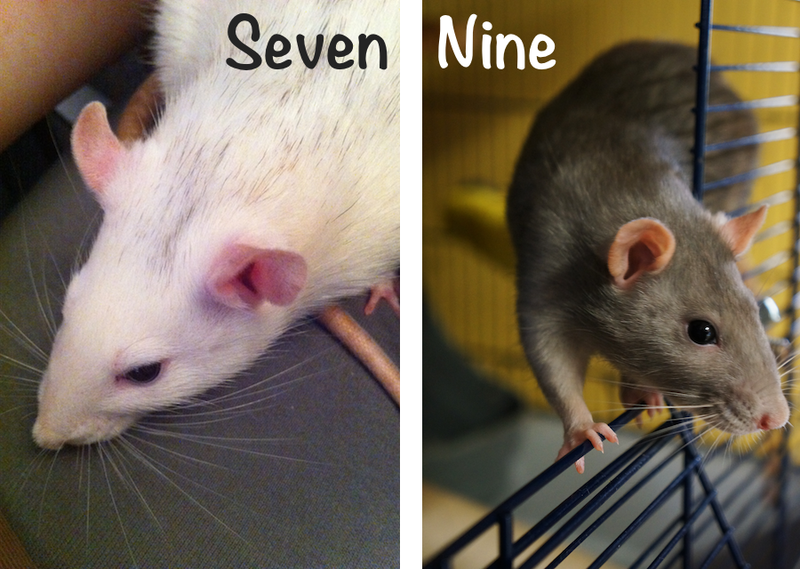 The two newcomers are Molly and Ivy, named after characters in the Dresden Files books. 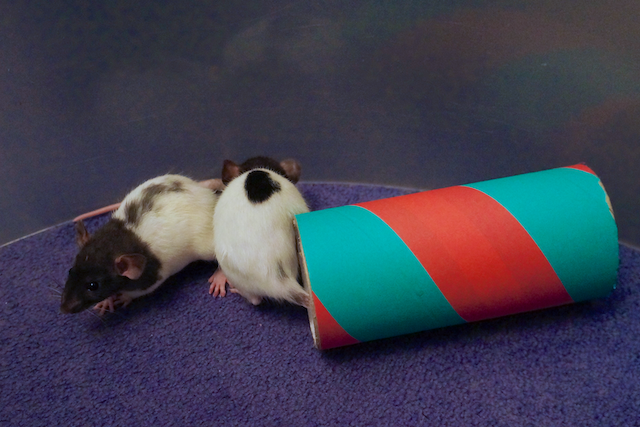 And once again I managed to forget exactly how energetic young ratties are; a situation that was made worse by having to look after them by myself for the first week as my other half was away visiting family. Molly was particularly trying as she would attempt to use me as a jumping off point to absolutely anywhere else she thought she might be able to reach. Ivy just didn’t want to be picked up and was quick enough to avoid it much of the time. Ivy doesn’t really fit into any of the markings categories; she has black from her nose to her shoulders and the rest of her, including her chin and throat, is white with a couple of stray spots of black. She is decidedly skittish, twitching at most noises (especially crinkly plastic) and is not keen on being held. That’s not to say she’s scared of people — she will happily come up for food and will let you stroke her — she just doesn’t want the interaction to go on for too long; she would much rather find a comfy spot to hide in. 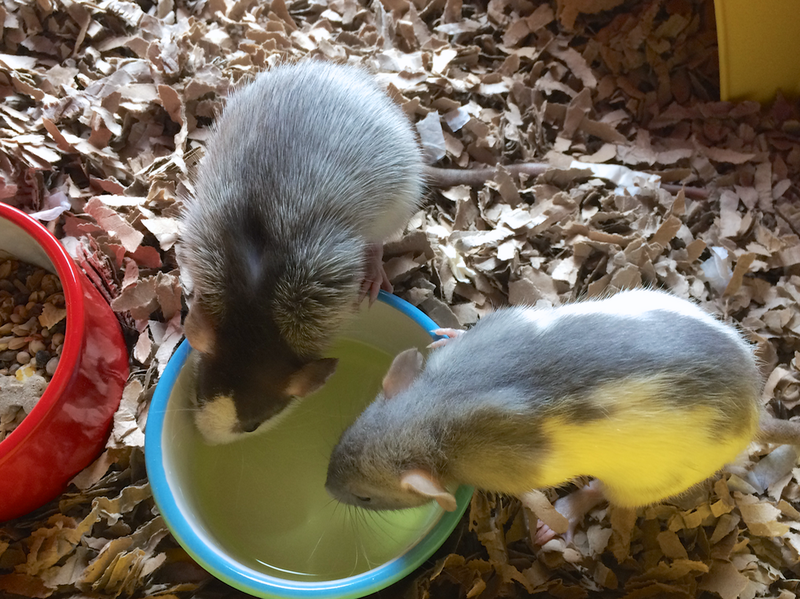 She loves her food and is destined to be another “fat rat”.